I love them, but it will be fun to see the old seats filled with those who helped make the show great to begin with. Sharing a little time with each one on set will only make us fans sadder to have to say goodbye, but Idol’s fate has been sealed by the bigwigs. I’m going to do my best, and I suggest you do the same, to relish each moment and replace the sad goodbyes with the celebration of the ever present talent that graces our TV screens for another season. . . and remember we always have re-runs. Ryan Seacrest returns with that million dollar smile and his natural warmth to announce, moderate and support the last batch of contestants to go down in Idol history. Like the show he is moving on. After the last show is aired for American Idol, Ryan will be hosting another reality show called Knock Knock Live. Simon Cowell – once again – is behind the scenes as the mastermind in which ordinary people are given a chance to see their dreams come true. Sitting beside Simon at the producers table, Ryan will be the face on the screen. His crew will travel across the country meeting ordinary people and presenting them with opportunities of a lifetime. The show doesn’t air until July of 2016, but I have a feeling with Ryan hosting and with Simon as a co-producer it will be hyped and highly anticipated by a slew of loyal fans. Speaking of Simon, and who isn’t? We will get our weekly fix as he steps in to replace Howard Stern on America’s Got Talent. This is one of my favorite shows and when the announcement was made that Howard was leaving, I was so disappointed. I couldn’t imagine who they could get to fill the size 13s of the incomparable Mr. Stern. I could hardly contain my joy when I found out that Simon was going to be sitting in that chair for their 2016 season. I just couldn’t bear the thought of Simon going behind the scenes and only getting dribbles of news about him from the fan pages of TMZ. Other highlights to look forward to are moments featuring the past contestants who have gone on to become industry juggernauts. Kelly Clarkson, Jennifer Hudson and Carrie Underwood are all scheduled to be on stage at some point as they re-cap the last 14 plus years. 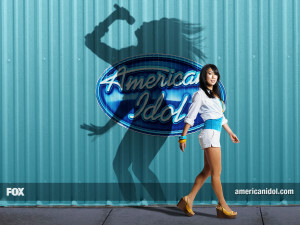 So I’m starting to feel less of the pain and more of the thrill of moving towards the final season of American Idol. Our favorite personalities aren’t going to be far out of reach. They wouldn’t do that to us loyal fans. I like to think they love us as much as we love them. What are your thoughts on the matter? Give me your input by leaving a comment below. I know I’m not in this by myself.